Was Roger de Lacy the fictional sheriff of Nottingham? Roger de Lacy (formerly Roger Fitz Eustace) was the 7th Baron of Halton and Constable of Chester. His father John, the 6th Baron of Halton, was the son of Albreda de Lizours by her second marriage to Richard Fitz Eustace of Halton Castle in Cheshire. Albreda was a member of the de Lacy family and was a cousin of Robert de Lacy who was a descendant of Ilbert de Lacy who was the first Lord of Pontefract Castle. Robert and his wife Isabella were childless so his nearest blood relative was Albreda and after his death all his lands across Yorkshire and Lancashire including Pontefract Castle in Yorkshire and Clitheroe Castle in Lancashire passed to her and from her to Roger on condition that he changed his name to de Lacy. Although the family were Barons of Halton, John, his son Roger and his son John are all recorded as being born at Lincoln: John in 1150, Roger around 1171 and John in 1192. Roger’s father, John, was killed in 1190 in Tyre during the Holy War and there is speculation that Roger Fitz-Eustace also fought with Richard I at the Siege of Acre. Thomas Dunham Whitaker in his History of the Original Parish of Whalley and Honor of Clitheroe, records this as a fact, but I think that it may have been another brother, Richard, that the records refer to. Before he left for the crusade, Richard I had appointed William Longchamp as Chancellor, Bishop of Ely and joint justiciar with Hugh de Puiset, Bishop of Durham; Longchamp was to rule the south and Hugh de Puiset the north. But Longchamp raised an army and marched north to oust Hugh and become acting head of both state and church. He was loyal to Richard, but his strong administration, his heavy taxation to pay for the war and his contempt of the English made him very unpopular and he gained a reputation as an ‘overbearing and intolerable tyrant’. So when John, the king’s brother, known by the title Count John of Mortain, came to England in 1191 he became the focus for a rebellion. When Longchamp besieged Lincoln Castle to remove Gerard Camville, the Constable there, and replace him with someone more loyal, Count John retaliated by taking the unguarded castle at Nottingham. He told Longchamp that if he did not end his siege he would ‘visit him with a rod of iron and such mighty host that he could not withstand’. The two men were squaring up for a fight when the Archbishop of Rouen, sent by the king, arrived from Messina to sort it out. He arranged a compromise: Longchamp left Lincoln and Count John gave back Nottingham. But as soon as the Archbishop left the country Longchamp tore up the agreement and entrusted the custody of the castles at Nottingham and Tickhill to Roger Fitz Eustace and gave him orders to hang the two Constables who had conspired to surrender the castles to John. In revenge, John plundered Roger’s estates including taking Pontefract Castle from him. Meanwhile King Richard decided to return home from the Holy Land, but having belittled the part played by other countries in the fall of Acre, including having the banner of the duke of Austria thrown into the moat and replaced by English banners, it was perhaps no surprise that the duke, Leopold II, took him captive as he crossed Austria on his way home, having been shipwrecked off the coast of Italy, and imprisoned him in Durnstein Castle. He was told that he must pay a ransom of 150,000 marks or be turned over to Philip of France. His brother John eventually agreed to pay the ransom, but only after suggesting that he would pay to keep Richard in custody! Later, wanting to guard his lands in Normandy against the French king, Richard I built Chateau Galliard between 1197 and 1198. Reputedly one of the finest medieval castles ever built it was located high on a hill overlooking the river Seine about twenty miles from Rouen and Richard boasted that it was impenetrable. Richard was killed in 1199 after being wounded by a bolt from a crossbow and Roger de Lacy, as he was now named, swore loyalty to John. He found favour with the new king and had Pontefract Castle returned to him. In 1201 he was in command of a hundred knights defending the king’s borders in Normandy and in 1202 he was controlling shipping along the Seine. In 1203, the French king, Philip, besieged him in Chateau Gaillard and although the French eventually managed to capture Chateau Galliard they had to starve the defenders into submission rather than take the castle by assault and Roger de Lacy is said to have given a heroic account of himself and his role in its defence. 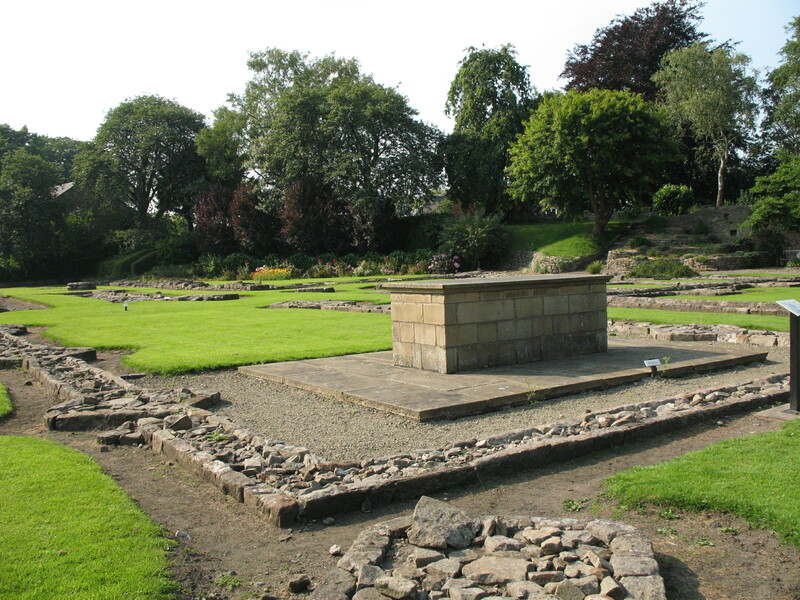 Roger died in 1211 at Pontefract Castle and was buried at Stanlow Abbey in Cheshire, which had been founded by his father, John, in 1178. However when his great grandson Henry de Lacy granted permission for the monks to move to Whalley it was on condition that the bodies of his ancestors should be re-interred there. So I’m fairly sure that Roger’s remains now lie beneath the ruins of the abbey church at Whalley in Lancashire. The remains of the abbey church at Whalley. Whether he was in fact the Sheriff of Nottingham that lives on in the legends of Robin Hood no-one can be sure. But his character certainly fits the profile and Roger Fitz Eustace ‘Helle’ de Lacy appears to have been the right man at the right time. Robin Hood is not a Person as we know, he was not real, but to history in that time the Name that comes up is William Tell. It is true that ‘Robin Hood’ is not one person but a name that was used to personify the many people who were forced to live as outlaws at this time. One such person appears to have been Sir William Bradshaigh. You can read his story here: https://elizabethashworth.com/2012/07/16/a-lancashire-robin-hood/ William Tell was also a mythical figure similar to Robin Hood, but based on stories from Switzerland. I think stories like these were told so that people could hope that good would prevail at a difficult time in history when many were oppressed. Probably looked more like Ronald Lacy. Whether he is more attractive than Keith Allen is debatable. Just to let you know I did follow your link! Do you think he looked anything like Keith Allen? If so, I hope it was before the ruby-encrusted tooth…. I really hope he was better looking than that Sheriff of Nottingham!